Sustainability science aims to tackle the societal, cultural, technical and scientific challenges resulting from global change in social-ecological systems. The knowledge produced during such research has to be solution-oriented and relevant for decision-makers and practitioners, i.e. knowledge that reflects and integrates scientific and societal perspectives. Sustainability science at the conceptual level, thus, strongly builds on a transdisciplinary approach. Transdisciplinarity in this manner both covers transdisciplinary cooperation across natural, engineering and social sciences, and integration of the expertise and the interests from actors in different societal fields with scientific knowledge. The integration of heterogeneous scientific and societal perspectives includes three phases (Jahn et al. 2012): 1) joint problem framing, 2) decomposition of the research problem into detailed questions, and 3) assessment of the results from phase 2 with respect to the overall research advancements. 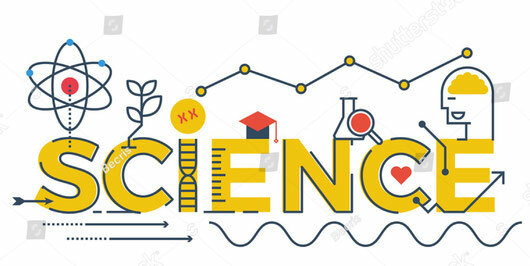 Image source: Illustration of SCIENCE word in STEM - © Becris via pixabay. Acccess via creative commons. Overall, sustainability science seeks to promote and effect a transition towards sustainability by promoting wide-scale societal change. The German Committee Future Earth working group “Co-design, Co-production and Co-dissemination in Future Earth” focused on the detailed processes of such transformative scientific practice closely orientated to the “co-concepts” that gained attention with the formation of Future Earth (Mauser et al. 2013). The three phases of transdisciplinary research highlighted above are nested into these “co-concepts”. Accordingly, the co-concepts comprise three major steps. Firstly, co-design in the development of research agendas, and identifying societal and scientific research needs; secondly, co-production as joint knowledge generation that forms the basis for decisions about the problem-adequate solutions; and thirdly, co-dissemination for facilitating the application and uptake of the results by various audiences. The working group’s objective was to identify the potential and challenges of implementing co-design, co-production and co-dissemination in sustainability research, with a special eye on the case of citizen science. Citizen science includes the centuries-long tradition of independent lay researchers in a range of scientific disciplines. Many citizen science activities are of direct interest to sustainability research, as they are dealing with questions related to climate change, biodiversity and different types of pollution. In addition, the ways in which laypeople and scientists work together to produce scientific knowledge can provide lessons on co-design and co-production to transdisciplinary sustainability research. The working group members hold that transdisciplinarity opens insights into and challenges for the “new type of science” identified in the “Future Earth 2025 Vision”. At the same time, a need to elaborate on the quality dimensions of co-design, co-production and co-dissemination, and to specify the ways in which these dimensions can help to fulfill the demands of transdisciplinarity as well as to better define the standards of methodology, good practice, and evaluation, is seen as crucial. The challenge of transdisciplinarity includes a variety of sub-challenges: inclusion of non-scientific actors throughout the research process, usefulness of knowledge and knowledge integration, and sensitivity to the inherent normativity of such research. Citizen science, with over a century of successful practice in numerous disciplines, can contribute to a better understanding of these challenges and how they can be overcome. Internationally, millions of volunteers contribute every day to the production of new knowledge directly relevant to addressing Future Earth’s cross-cutting challenges. The working group finally deduced three foci that have been discussed comprehensively at a Round Table discussion carried out with highly national and international profiled experts from Transdisciplinary Sustainability Research and Citizen Science: quality criteria, knowledge integration and normativity. In the discussion it became obvious that both approaches have much to learn from each other. Decades of citizen science experience in diversifying the production of scientific knowledge can inform transdisciplinary researchers. Likewise, transdisciplinarity’s consideration of quality criteria, knowledge integration and normativity can expand citizen science into new approaches. Citizen science is, however, no silver bullet. Its diverse practice includes numerous cases where societal inclusion is merely in data collection, and its focus on generation of scientific knowledge precludes consideration of representation or normativity. In addition, because citizen science focuses on production of scientific knowledge, it is less able to promote deliberation, for example on what challenges are most urgent or how to frame these as concrete problems. Citizen science may be of particular interest in further consideration of co-design, although this may require critical examination of where citizen science begins and ends in the larger research context. Transdisciplinary sustainability research should strive for systematically integrating citizen science formats as a form of participatory exercise. In this way, different knowledge domains and expertise from various sectors of society can be included to enhance the innovation potential of Future Earth science. Citizen science can provide avenues for broader transdisciplinarity across society. Citizen science and transdisciplinary networks should build ties to each other. Jahn, T., Bergmann, M., & Keil., F. (2012). Transdisciplinarity: Between Mainstreaming and Marginalization. Ecological Economics 79: 1–10. Mauser, W., Klepper, G., Rice, M., Schmalzbauer, B.S., Hackmann, H., Leemans, R., & Moore, H. (2013). Transdisciplinary global change research: the co-creation of knowledge for sustainability. Current Opinion in Environmental Sustainability 5/3-4: 420-431. Pettibone, L., Blättel-Mink, B., Balázs, B., Di Giulio, A., Göbel, C., Heubach, K., Hummel, D., Lundershausen, J., Lux, A., Potthast, T., Vohland, K., & Wyborn, C. (forthcoming). Transdisciplinary Research and Citizen Science: Options for Mutual Learning (Paper in preparation to be submitted to GAIA).